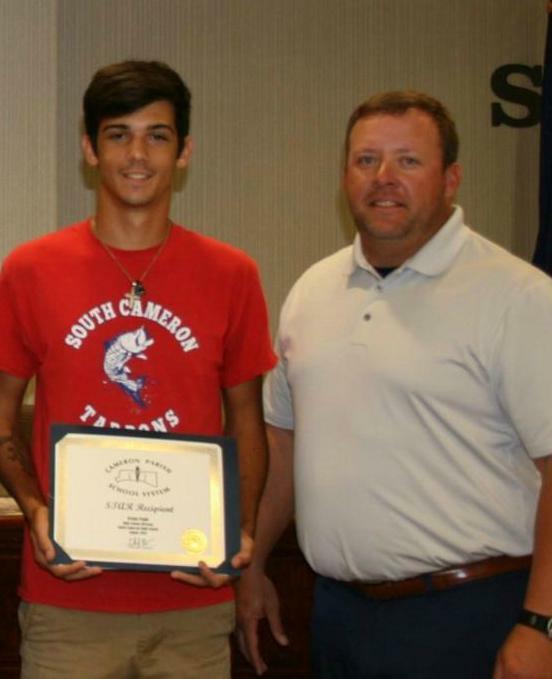 Kelan was chosen as one of the first Cameron Parish STAR winners! The Cameron STAR program recognizes students, faculty, and staff members who exhibit outstanding qualities such as character, commitment, and self discipline. Not only has Kelan overcome many obstacles and grown tremendously, as a student and an athlete, but he also displayed overwhelming concern and offered vital support in an emergency situation, on campus.